What’s this about Google Posts? 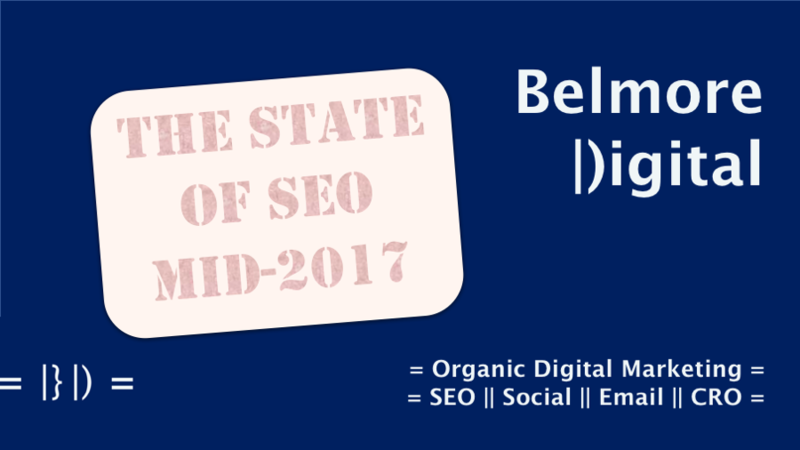 This is an extract from TWIS SEO News & Updates 07 July 2017. Google Posts for Google My Business is a bit of a disappointment. It looked good, but appears to have been released in Not Quite Ready state. Read about the things that didn’t make it to the production release, making Google Posts “meh”, in its current state. Since the release of Google Posts, it’s proven to be a little bit disappointing. Automated posting is currently not available. Schedule posting is currently not available. Posts expire after a whole 7 days, except for upcoming events. It’s not available to all business categories yet. Google Posts is currently for short burst promotions, not for regular specials. It’s Not Quite Ready in my view. 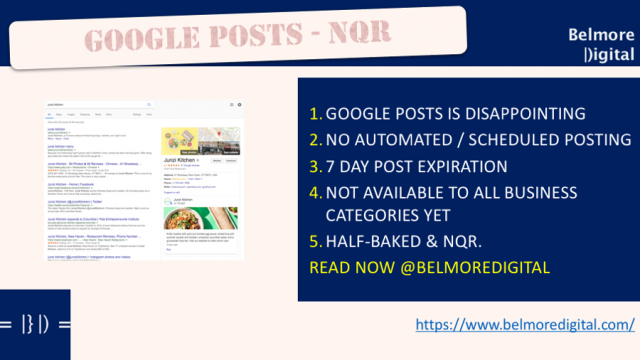 If you run regular, short, promotions in your business, use Google Posts on Google My Business, but be aware that posts expire after 7 days, so you will need to set up a regular posting routine. If you run events, then Google Posts is good, you should also be using Events Structured Markup on your pages. 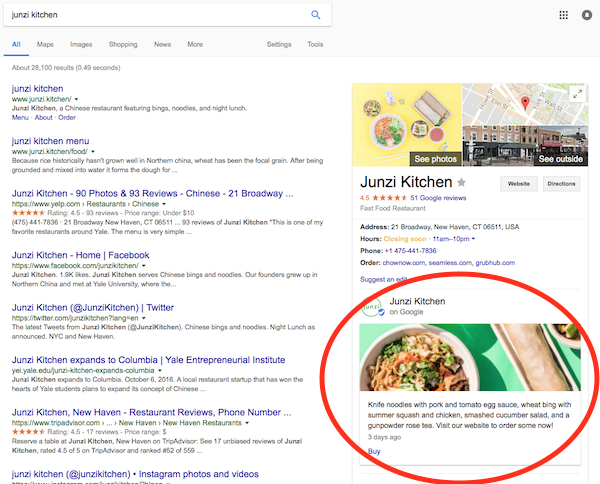 If you have longer promotions, or don’t run events, the you should test using Google Posts to see if it brings any visibility, traffic, or conversion benefits. Contact me if you would like to discuss ways to use Google Posts and set it up to work effectively for your business. Sigh. Google is disappointing currently. This is another half-baked product launch with great fanfare, which actually is of little effective value to businesses. Instead of running with an MVP (minimum viable product) style of product development and launch, they seem to be going with an NQR (Not Quite Ready) style. I don’t know whether Google is maxing out on product tweaks, or if its New Product Development process is falling apart, but something is not right. Google Posts has the potential to be a really useful piece of web presence kit. Think of being able to schedule promotions in advance, supply promotions from an XML, or other feed, or even being able to run a promotion for (shock!) 10 days. Those things would be useful. Google My Business users are not constantly logged in checking their stats, updating their pages. It’s not quite set-and-forget, but it nearly is. Having to visit every seven days, for something which is very nearly set-and-forget, is just not going to work. Of course, the cynic in me think that businesses can manage all these promotions through Adwords, but Google would never do that, would they? Google should allow scheduled posting, set expiry dates or even more advanced post time / display options and make it actually something which businesses get some value out of. Google Posts in its current state has been released too early. Too many missing key features make it limited in its usefulness. With luck, Google will quickly iterate improvements.